Traditional Persian jams are made with whole or cut fruits rather than crushed fruits; they usually have no additive to make them jelly like and as a result any kind of fruit jam preserves that fruit’s look to a large extent. 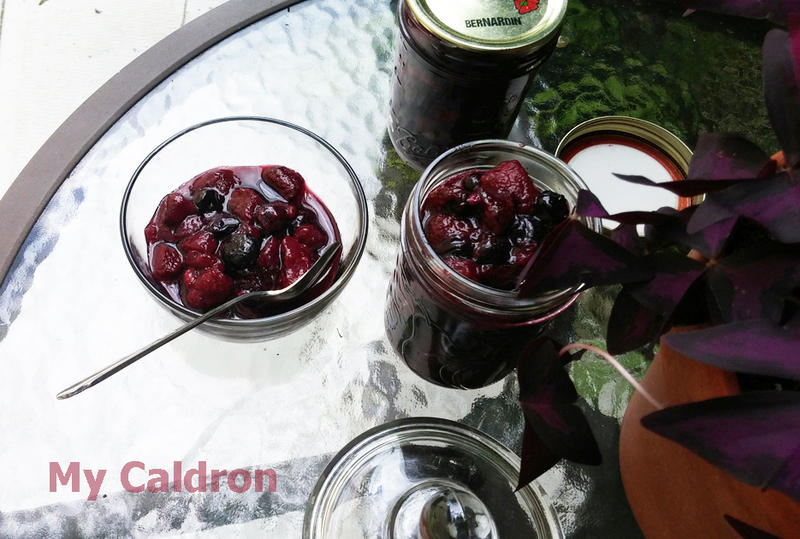 It is hard to find this type of fruit jam in the market in Montreal, giving me one more incentive to make them at home from scratch. For this particular jam, I used the four berries currently in season in Montreal: Strawberries, black berries, blue berries and raspberries. You could certainly go with your own choices. Also for this particular jam, I have deviated from traditional Persian jams by making it less sugary/sweet. I have used brown sugar instead of white sugar and only to a much less degree, and used maple syrup to get to the desirable thickness and sweetness. I am pretty happy with the result: Not as thick as a traditional Persian jam but much tastier! Give it a try to see for yourself! 10 cups of Strawberries, black berries, blue berries and raspberries (in equal proportions) washed and drained. Only strawberries need cutting; keep the rest whole. Place the cut strawberries and blue berries in a not-too-deep copper or enamel pot. Sprinkle ¾ of sugar on top, close the lid, shake well and leave it in the fridge overnight. Place black berries and raspberries in a normal bowl with lid, sprinkle the remaining ¼ of sugar, shake well and leave it in the fridge. 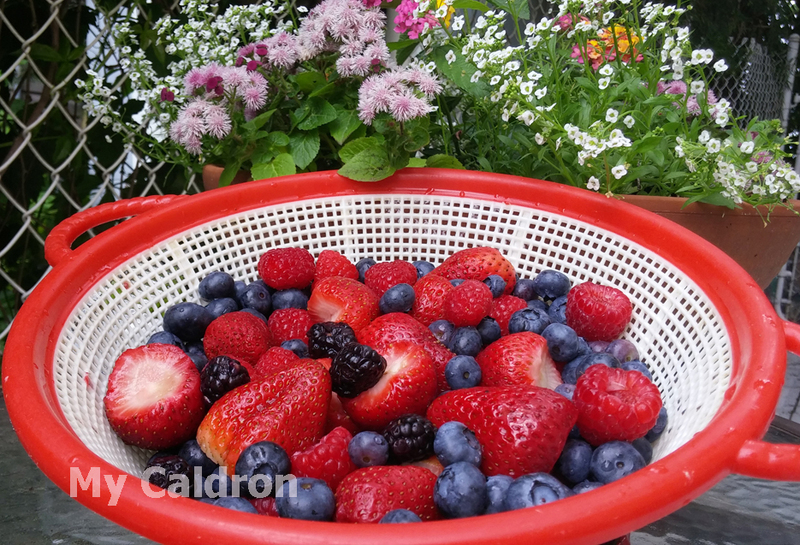 The reason we separate the berries is that the former berries are tenderer and require less cooking time. 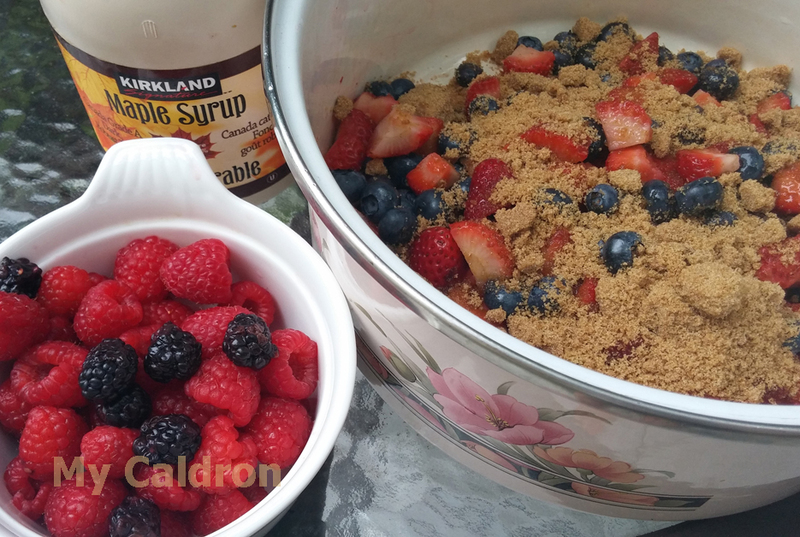 Come morning, you will notice the sugar has been melted and mixed with extracted fruit juice. This is all juice you would need to cook the fruits in; no water is added. Place the pot over medium heat with closed lid for 45 minutes. 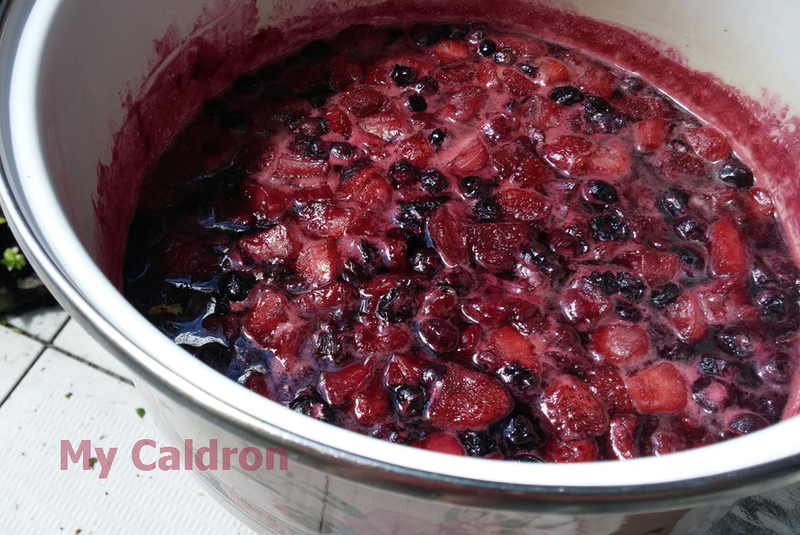 Remove the lid, add content of your bowl (raspberries, black berries plus their juice) to the pot and simmer for about an hour, or until most juice is evaporated. Add maple syrup and continue to simmer for another 30 minutes, until all berries are mixed and you get a fairly thick jam. To bottle, use standard (250 ml) jam bottles. Pour in the jam while it is still very hot. Secure the lid and turn upside down till it gets cold. This is to sterilize the lid’s inner part and the upper part of the bottle, thus helping jam to remain bacteria free and long lasting. Place the bottles in the fridge once cooled. Enjoy mixed berries jam with your breakfast or even with an afternoon tea.